If all roads once led to Rome, today all roads lead to the homeland of another empire–into the very belly of the beast itself. Social Weather Stations (SWS) tells us that more than a fifth of the population–20 percent, or some 16 million souls– want to leave the country in response to the brutal realities of economic need, in the desire to assure themselves a future staying in the country of their birth cannot give, or in a quest for order the chaos and violence of Philippine society cannot provide. Some 8 million so far have preceded them. Unless what they want to escape from abates, many more will follow. And what they want to escape from is the crisis that, while seemingly never so urgent as today, has in varying intensity been a fact of life in the Philippines for over 400 years. When I began teaching in this University as an instructor many years ago, the streets of our cities rang with cries of Down With Imperialism, Bureaucrat Capitalism and Feudalism. Though rooted in the specific realities of the Philippines, those cries echoed a global awakening and movement for the dismantling of those machineries of oppression that kept millions of men and women poor and denied them control over their own lives–and the construction in their place of societies in which no one need go hungry or sleep under bridges. Thirty-five years later the world has indeed changed, but primarily in the strength of the illusion that it has been for the better.Twenty percent of the world’s population consumes 80 percent of its resources, over which still only six percent–the handful of multinationals that more than governments now make the decisions that shape the world– have control.Some 800 million people go to bed hungry daily. Gas, water cannon and truncheons greet protesters in Bogotá and Genoa as they do in Manila. Thanks to the madmen of empire, the 21st century is likely to be, as the 20th was, another century of war. The absolute wonder of it all is not that all these are happening, but that this immense obscenity persists without the kind of protest that the global and national regimes of oppression, poverty, mass misery, destruction and death demand. Do we not all suffer the slings and arrows of the outrageous fortune inevitable in an unjust order? Do we not also bleed like those killed in Taguig, Tarlac and Mindoro? And are we not diminished by the murderous global regime that keeps millions unclothed, unfed and unsheltered and condemns them to short brutal lives so homeland moms can drive the kids to soccer practice in their Expeditions? Surely there must be some reason other than blackmail, the threat and actual use of force, or muscle and gunboat diplomacy that has made so many either indifferent to what is going on, or unable to comprehend it.Let me venture a suggestion why, despite the injustice, violence and misery the global and national orders breed there is less defiance than the reality demands. The media–the disciplines to which you have devoted four years or more of your lives to study and master–have failed to report, much less interpret, the world to its inhabitants. Reporting in print is only a little less driven by the same commercial aims. The one newspaper in which what appears on the front and opinion-editorial pages is subject to the owner’s approval every day seems to be an exception. And it may also be true that this newspaper’s difference from your favorite broadsheet is evident in their respective attitudes towards government. But it is equally true that they have one thing in common: neither questions the validity of the political, social and economic systems. The defects of these systems are too obvious to be concealed through editorials celebrating Christmas and Valentine’s Day and the anniversaries of this or that association. These systems’ survival in fact depends on their capacity to reform themselves, which is the cause to which the second broadsheet is dedicated. But in practice, the consequence is a refusal, or inability, to look into the root causes of this country’s problems, and to see them merely as the results of mistaken policies and bureaucratic bungling. A study by the Fairness and Accountability In Reporting media advocacy group of TV news reporting thus found that over 90 percent of those interviewed over US television networks, prior to the invasion of Iraq in 2003, were government officials or belonged to pro-war groups.The New York Times, in a rare instance of self-criticism, admitted last year that it had not been as rigorous in its reporting as it should have been, and thus ended up supporting the mythical case for the invasion of Iraq because it supposedly possessed those weapons of mass destruction that have never been found. By the time the New York Times had criticized itself–without, however, apologizing to the people of Iraq–a hundred thousand civilians were dead and an entire country including its cultural heritage was in ruins. Beyond those obvious instances in which a global audience is mesmerized and misled by trivia, distorted and biased reporting and outright disinformation–which those in journalism know as the manufacture of false information to influence opinion along predetermined lines–there is as well the daily assault on the senses of those who have access to television and print: the unremitting pounding into millions of heads of the idea that capitalism and its harvest of misery under the aegis of world empire is the best that mankind can ever hope for. After all, is this not, as postmodernism coyly claims, the end of history as it is the end of everything else except capitalism? Therefore, if you happen to have the misfortune to be born poor in a poor country and not rich in a rich one, the only thing you can do is to move to a richer one, where, among other options, you too can labor as a domestic or scrub bedpans for dollars, yens or euros. What is the journalist, the filmmaker or anyone else involved in the media and communication professions to do given the disorder that reigns both at home and in the world? I suggest that it is exactly what he or she has been trained to do, and that is to report on the world and to interpret it. That is the media practitioner’s first duty, just as his or her first loyalty is to the facts. The media practitioner true to these first principles through the exercise of those skills in research, documentation, analysis, and writing and expression paradoxically becomes more than just a skilled technician. Falsehood, distortion and bias are after all the tools of the moneybags and militarists whose unholy partnership with each other as well as with local tyrants has shaped both Philippine society and the world. At the same time, and even more critically, the practitioner needs to restore integrity to the language by being as precise and as exact in its use as journalism demands. He or she must oppose the debasement of language that now reigns in western media: that debasement which has made “militant,” and “liberal” and “leftist” and “radical” into terms of resentment, and which distort the meanings of “fundamentalist” and “terrorist” to apply solely to the enemies of empire though they apply with even greater force on the empire itself and its client states. Media practitioners need to re-affirm in practice the basics of truth-telling, humaneness, justice and freedom that are at the very core of journalism regardless of medium, and to rescue language from the misuse to which it has been subjected in furtherance of the greed for wealth and power.Only rigorous commitment to the truth-telling that is journalism’s first and last responsibility, and as a consequence, to reporting and interpretation beyond the conventional, can make better media. For media practitioners, researchers and scholars, the struggle for a just society through better media is of course first of all here, in this country’s newspapers, radio and television, and in the Internet. But there is also room in that struggle for the involvement of those who, for whatever reason, choose to live elsewhere, or have to.The globalization of resistance is one of the answers to the globalization of oppression and exploitation. 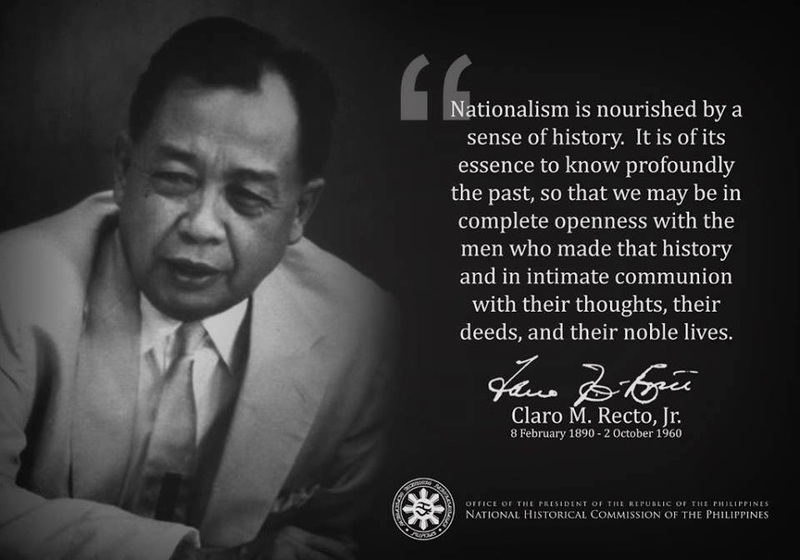 The Internet, for one, now provides not only the opportunity to remain connected to the country of one’s birth, but also to interpret events in it to global and Filipino audiences. By doing so through whatever medium or whatever means, you would still be part of the epic effort of the Filipino people, now in its 135th year since 1872, to find their place in the world as free men and women. “There is no such thing, at this date of the world's history, in America, as an independent press. You know it and I know it. There is not one of you who dare to write your honest opinions, and if you did, you know beforehand that it would never appear in print. I am paid weekly for keeping my honest opinion out of the paper I am connected with. Others of you are paid similar salaries for similar things, and any of you who would be so foolish as to write honest opinions would be out on the streets looking for another job. If I allowed my honest opinions to appear in one issue of my paper, before twenty-four hours my occupation would be gone. The business of the journalists is to destroy the truth, to lie outright, to pervert, to vilify, to fawn at the feet of mammon, and to sell his country and his race for his daily bread. You know it and I know it, and what folly is this toasting an independent press? We are the tools and vassals of rich men behind the scenes. We are the jumping jacks, they pull the strings and we dance. Our talents, our possibilities and our lives are all the property of other men. We are intellectual prostitutes." -- John Swinton (1829-1901) pre-eminent New York journalist & head of the editorial staff at the New York Times. The history is surely never able to forget such people that had done the things for the humanity. It sure is a great words that has been said by one of the great leaders that I know.